This may be one of the few times that I actually considered swatching the entire set of this polish. But I didn't, because my nails weren't in good shape and one of the polishes is a sheer pink. So that didn't happen. This polish was from a set of five I got at London Drugs. It was after Christmas so I got it for 50% off. I was very excited about this buy. I loved almost all the colours, except the hot pink. Not feeling the hot pink. It came all nice and packaged in a little clear bag. The bag is really handy to have around for my short polishes. The bottles are identical. 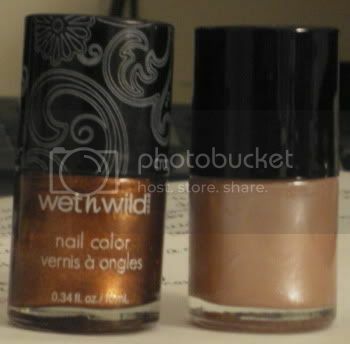 So I tweeted @wetnwildbeauty and found out that both wet n wild and The Color Workshop are actually both part of Markwins. I feel like such a detective... That didn't have to work too hard for the info, but still. Hahaha. So, enough about the pack. Onto the polish. This is a purply, taupey, beige pearl. I absolutely love this colour. I have no idea what it is about it. But I was immediately drawn to it. It's a fantastic polish. Three coats for full coverage. But the formula goes on smooth. And as with the Craze polishes, the brushes are short, but it's really not a huge deal, just gotta get used to it. I'd grab my hard drive that has all my pictures on it. I would grab my logs. (Let me explain to you what my logs are. Three or four years ago, StBF, and I decided to start a study log. Honestly, all this was was a journal between the two of us. We would write down things of interest or things of no interest. We'd write messages to each other. We shared a locker, so she'd leave me a message, and I'd read it when I hit the locker, and vice versa. We would draw in there. It originally started as just written text. But the whole thing spiralled out of control. We started gluing all sorts of pics in there. Movie stubs went in. Hockey game tickets. Concert tickets. Maps of museums we'd hit. We used it to document all the interesting things that happened while we were in school. That first log tripled in size because there's so much stuff glued into it. It's so battered that it's actually got to be kept in a bag so that it won't fall apart. Like, this thing is packed with random memories that I would cry bullets if I ever lost. We put so much love and time into it. We're actually on the third one now.) And I would grab my cell phone. Lol. Although now that I think about it, without a cord, my cell phone would be useless in a day. I always start posts thinking it'll be a quick entry, but they never are. I really like that polish on you. You pull off light colors really well. Aww cute polishes! What a deal! If my house was on fire, the first thing I would grab would be my macbook! Also, I was wondering how is adsense was working out for you? gildedangel: Aren't they? I absolutely love them. Skulda: I know, I love their clearance bins. I bought a whole bunch of the Sally Hansen Runways polishes on clearance. Very sweet. Stephanie: Oh, thankya darlin'. I totally envy you though, you can wear corals. I love how they look but they just make my hands look alien. SeeingSunshine: I was so excited when I found these polishes. I love cheap polish. Lol. I think if I had a laptop of any sort, it would be the first thing I grabbed. And I have made $1.24 with adsense. Lol. It's really slow go. I think the problem is that no one clicks ads nowadays. We're all so desensitized to them that they're just ignored. That log is so cute. I used to write letters (not email) back and forth everyday, even when we met everyday. There are things needed to be written down huh? Halifax: There are definitely things that need to be written down. And I love the idea of paper mail. Something you can hold and touch. 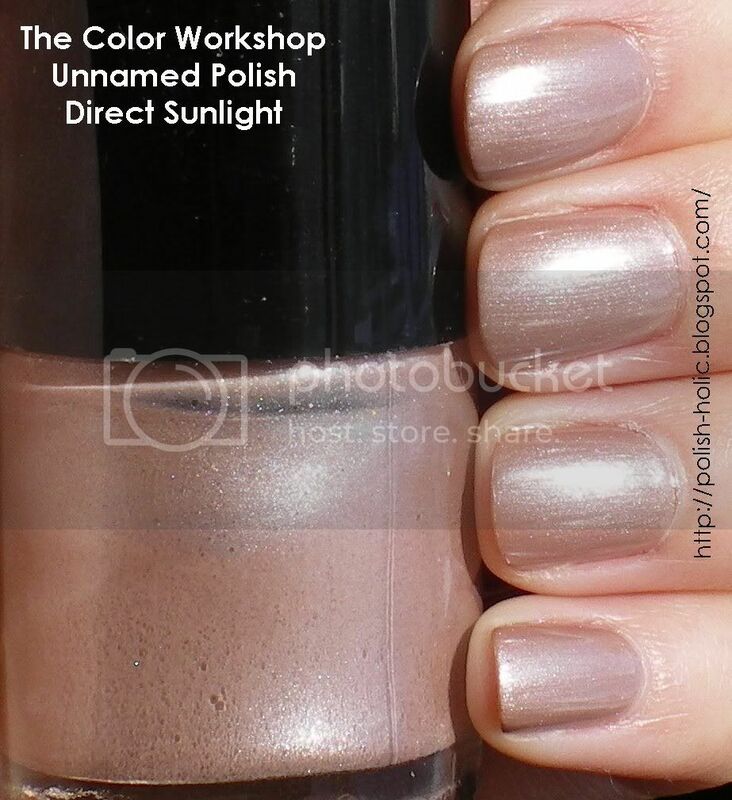 Oh, you have The Color Workshop polishes! I have one in my whole collection and it doesnt have a name, so I named it orange shimmer. Deez Nailz: It's things like the log that really mean the most to me. adorepink: I think I'm going to name them. 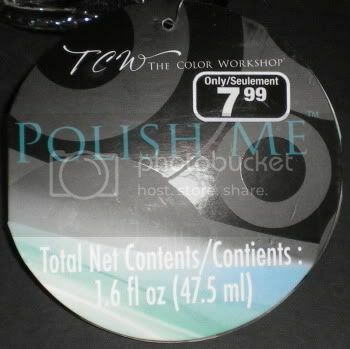 I hate having unnamed polishes. I'm always a little scared to pick up random clearance polishes I'm not familiar with, but I guess it pays to be adventurous! If my house were burning down I too would grab my hard drive with all my photos, and then my camera and purse. Or is that last one cheating (since the purse would have more than one item in it)? hehehe. Omg, yeah, I was always such a snob. 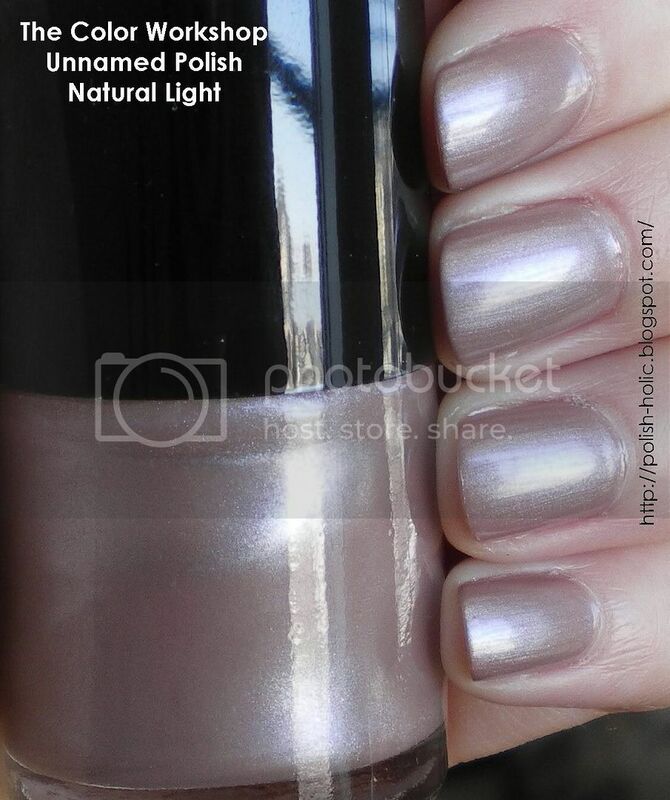 If I didn't recognize the brand, I wouldn't get the polish. But the colours were just so enticing. And you can't beat that price.